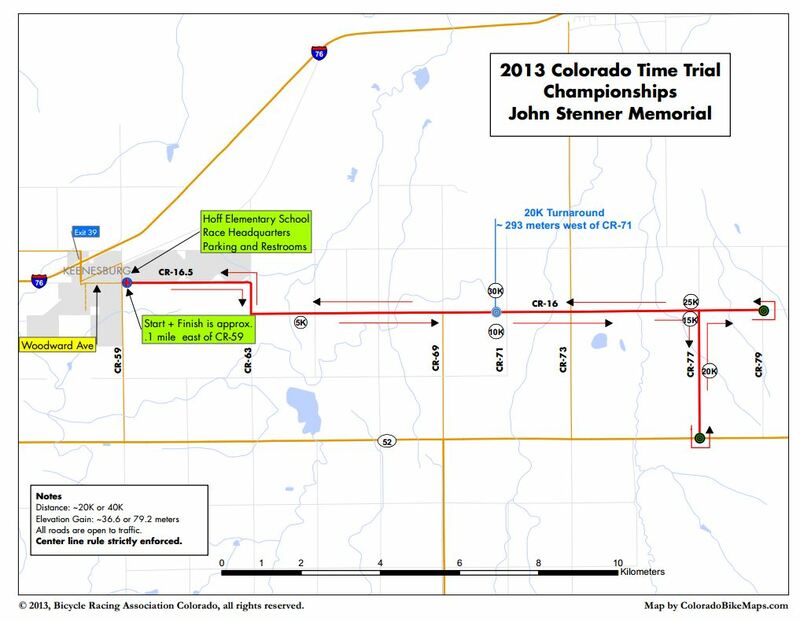 The Colorado State Time Trial Championships will be held on Saturday, June 16, 2013. Details are here. Shown is a new course in Keenesburg, just a short 40 minute drive up I-76 from Denver. 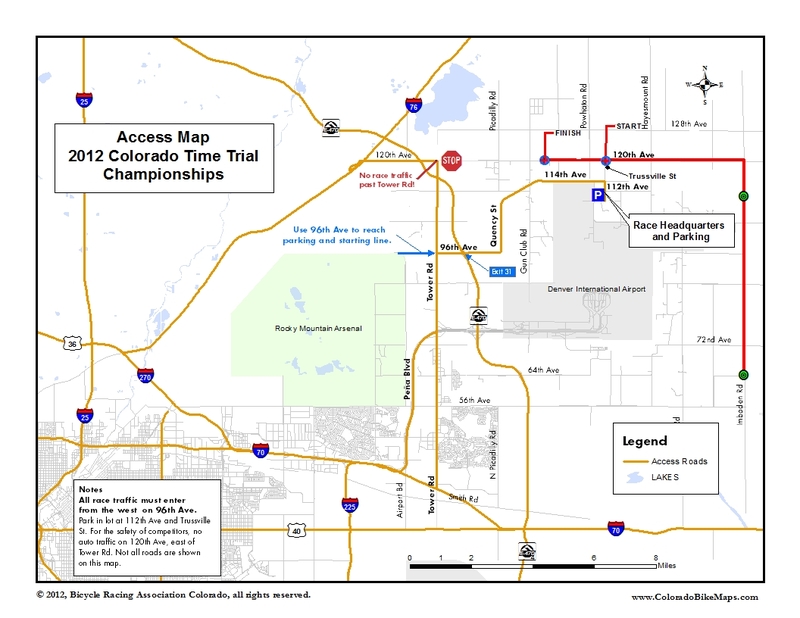 The course is not much further than the 2012 course on the north and east side of DIA and should have much lower traffic volume. Depending on racing age and category, cyclists will ride either 20K or 40K. The course is without any long or steep hills so bring your fastest wheels. The 2012 course is shown below.